Two black cats playing with balls of yarn. 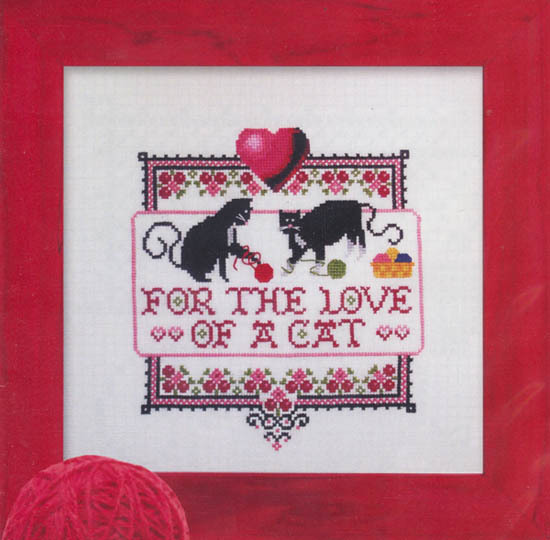 "For the Love of a Cat". Coiunt: 99w x 108h. Model stitched on 28ct Cashel linen Antique White. Inches: 7" x 7 5/8"